Bevel gears are generally conical in shape and the teeth can be straight, spiral or hypoid. Their common use can be found in differential drives. This allows separate axles to rotate at different speeds depending on the ratio of gears used. They are commonly mounted on shafts to run at 90 degrees. There are various gear systems, the most common is the Gleason which is used at LMR. LMR has extensive knowledge within this area which enables us to prepare summaries from damaged or worn samples. Our inspection facility allows us to duplicate the original function, ratio and mounting distances of the gears. 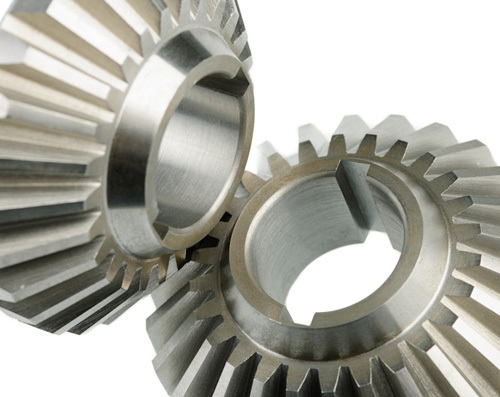 A client of 20 years required a batch of bevel gear prototypes within 14 days.